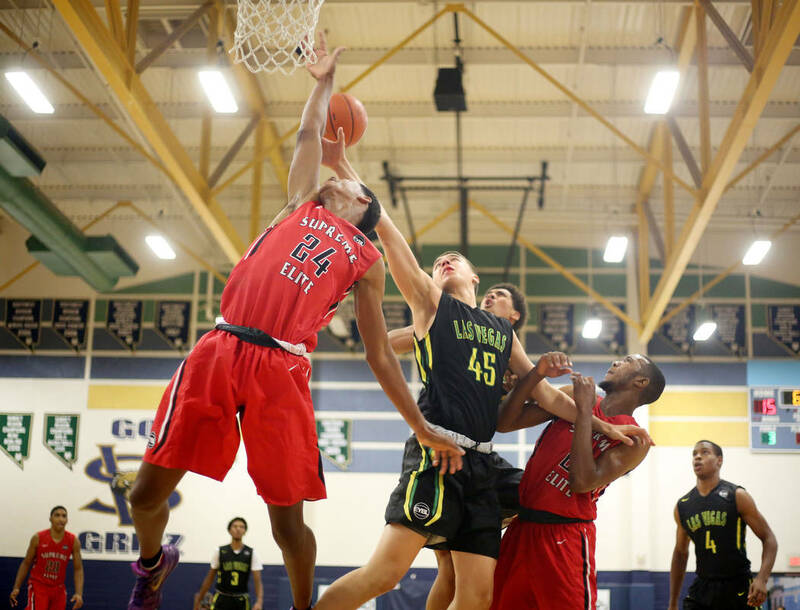 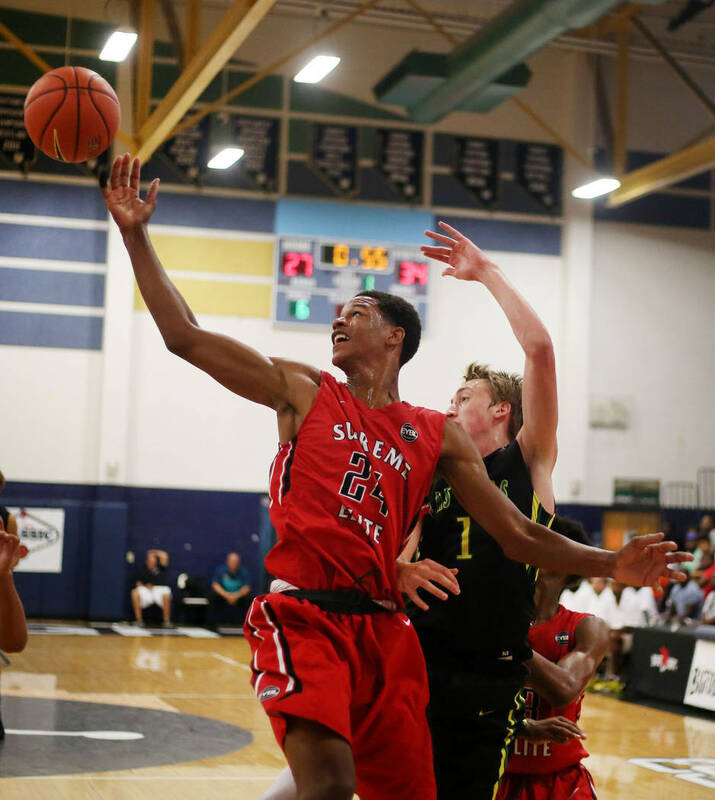 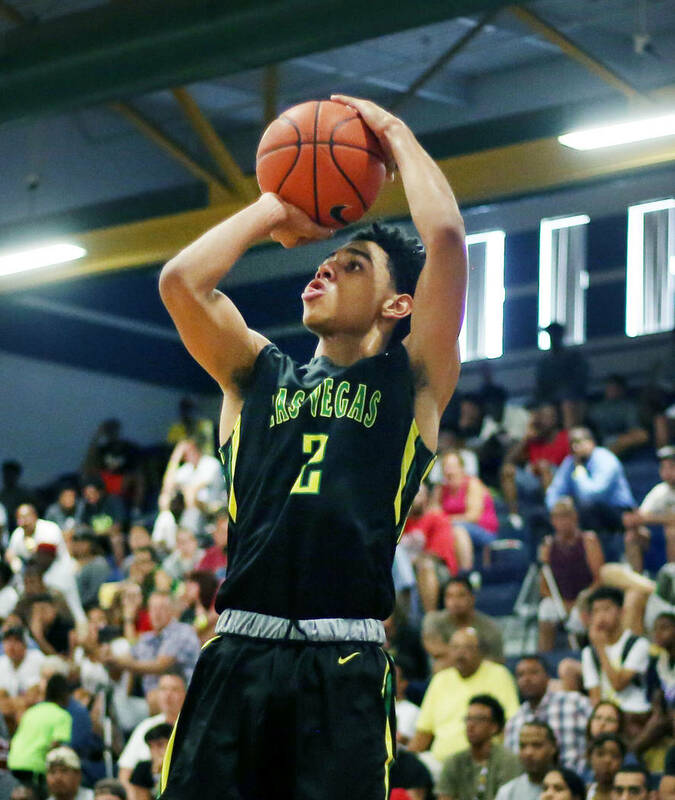 The Las Vegas Propsects of the Nike EYBL advanced to the Las Vegas Classic championship game on Sunday afternoon at Spring Valley High School. 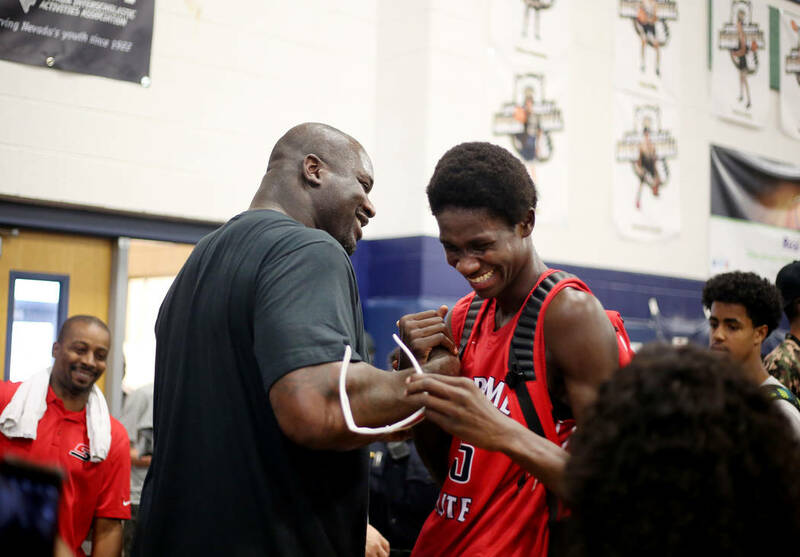 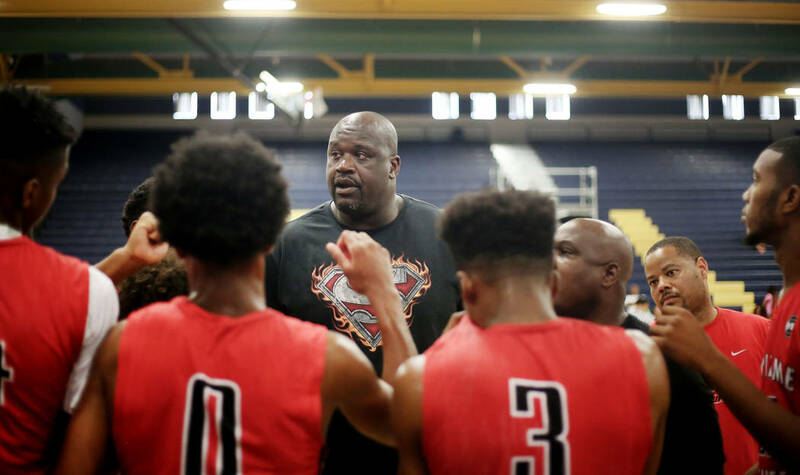 Whether at practice or on the road playing in Nike’s Elite Youth Basketball League, Coleman never hesitated to let anyone know where he was from. 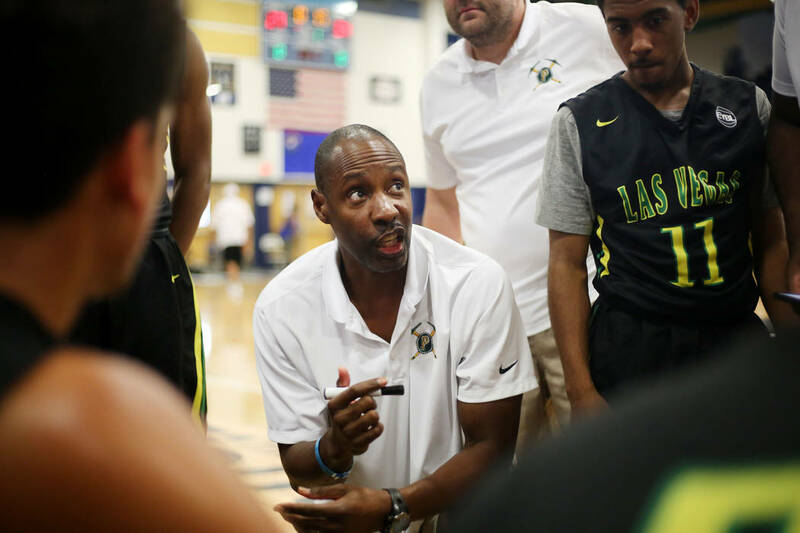 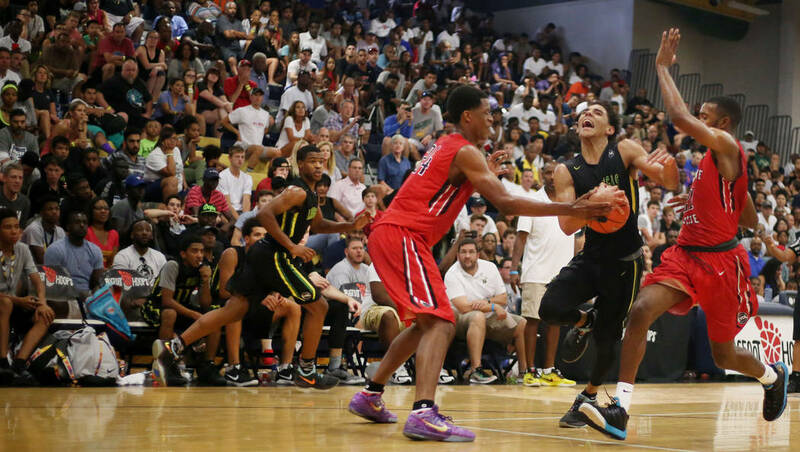 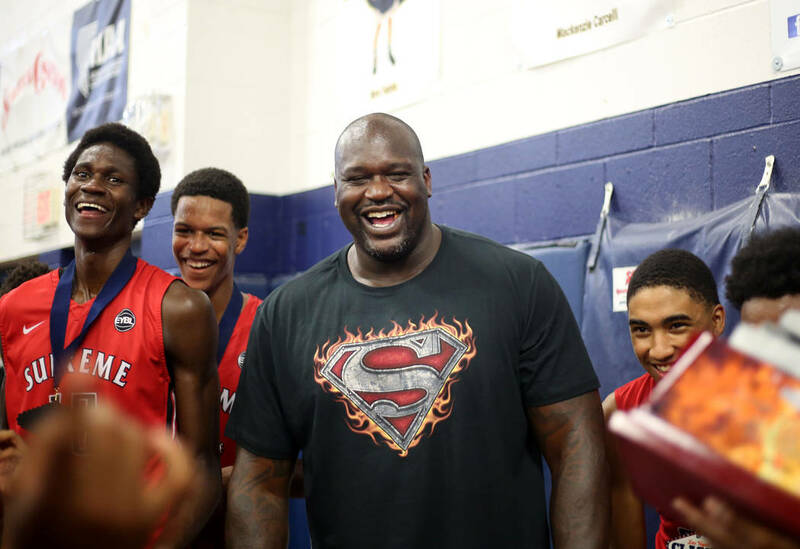 So when the top AAU teams in the country convened in Southern Nevada for their end-of-summer tournaments, he felt an obligation to remind everybody again. 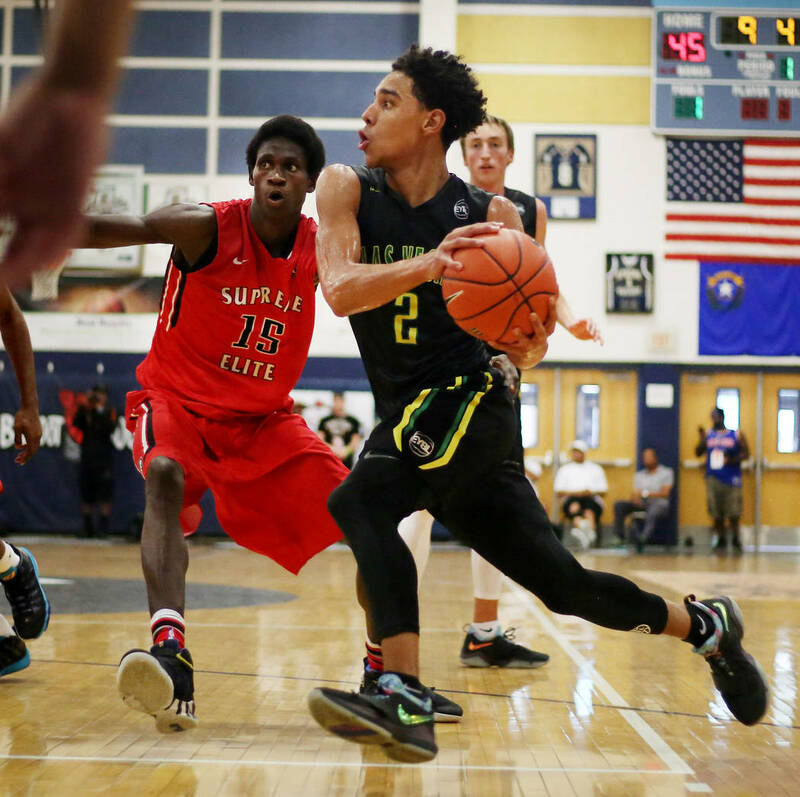 And, well, it turns out there’s some pretty good local talent, too. 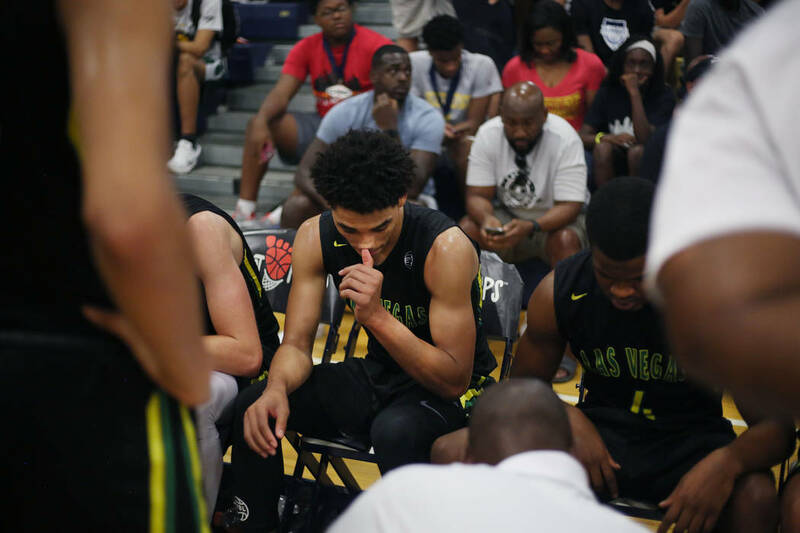 Coleman and the Prospects, who struggled to a 3-13 record on the Nike circuit, went 2-1 in pool play and topped two EYBL teams in bracket play en route to a berth in the Las Vegas Classic platinum elite championship game on Sunday afternoon at Spring Valley High School. 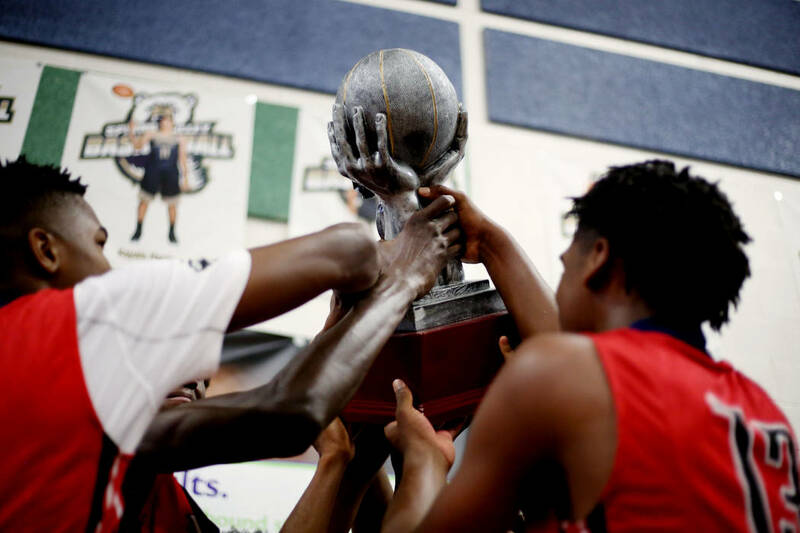 The Prospects couldn’t overcome mighty California Supreme Elite, though, losing 60-59 in overtime. 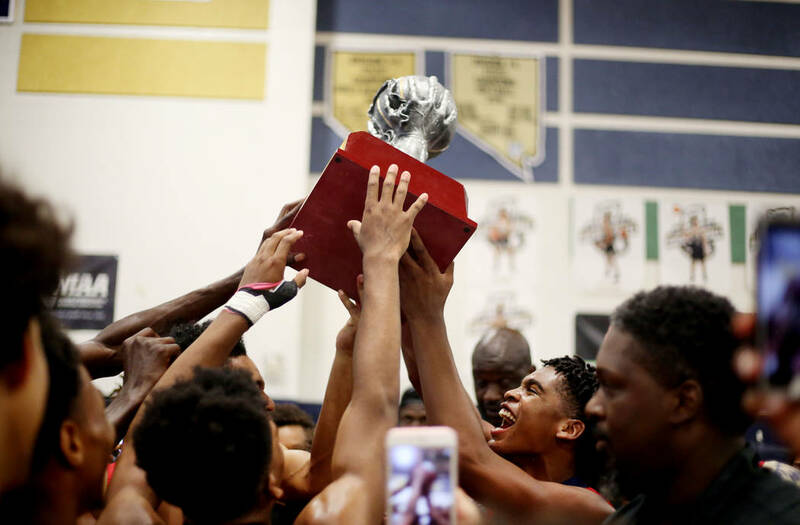 But Las Vegas coach Derek Thomas said his group achieved its goal of representing the city and elevating its recruiting profile. 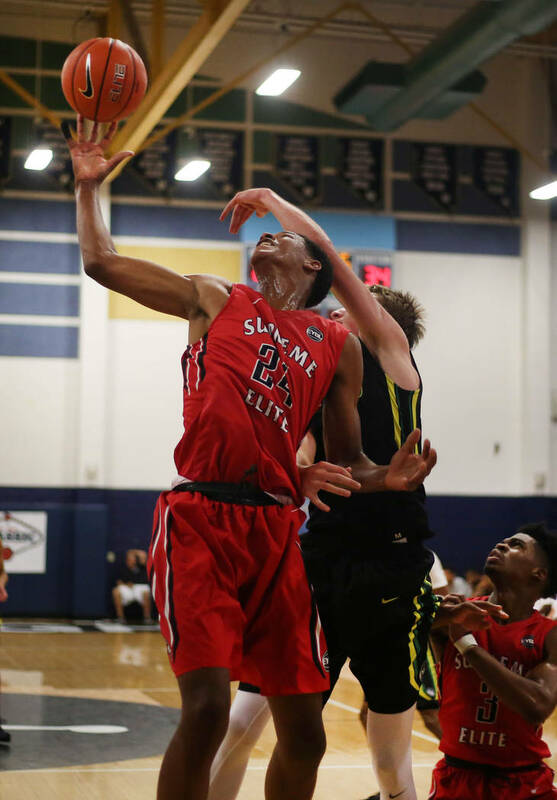 The Prospects struggled to jell during EYBL play, and several players quit the team during the spring and summer. 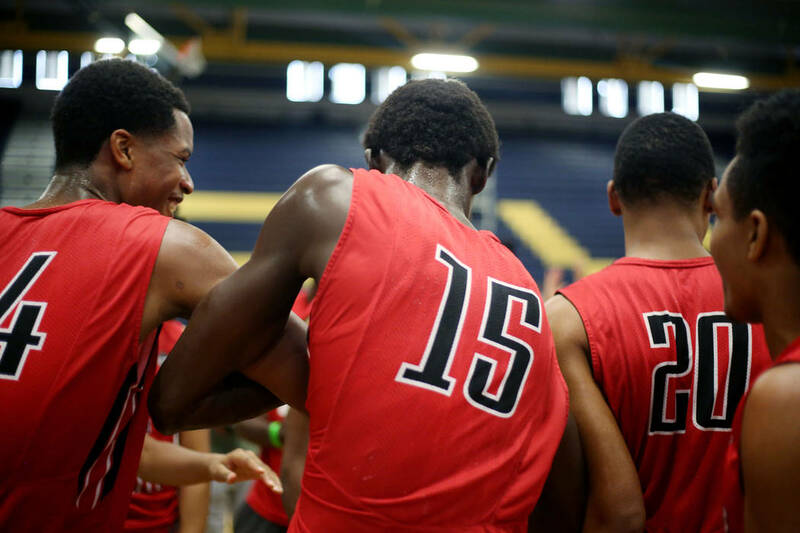 Coleman and his remaining teammates weren’t fazed, and he said the departures ultimately helped the chemistry. 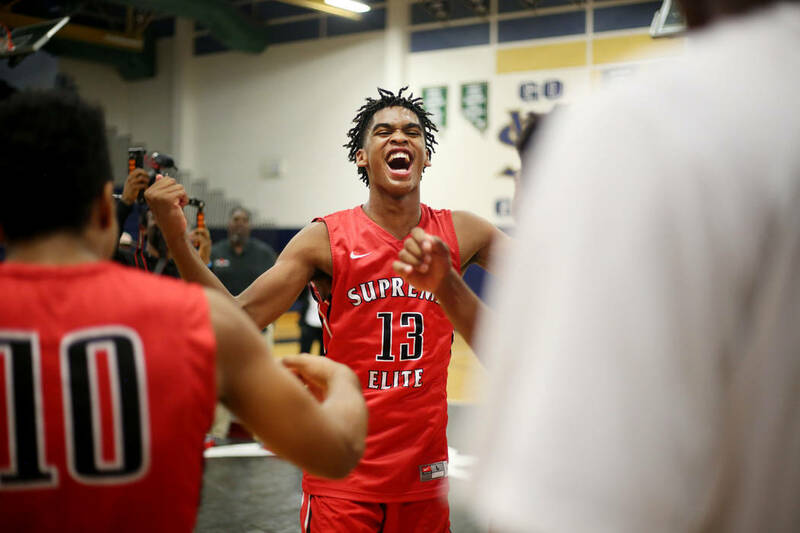 They upset EYBL compadres Georgia Hoops and Houston Hoops on Sunday to clinch their spot opposite California Supreme Elite in the championship, and led for most of the game — thanks in large part to Coleman. 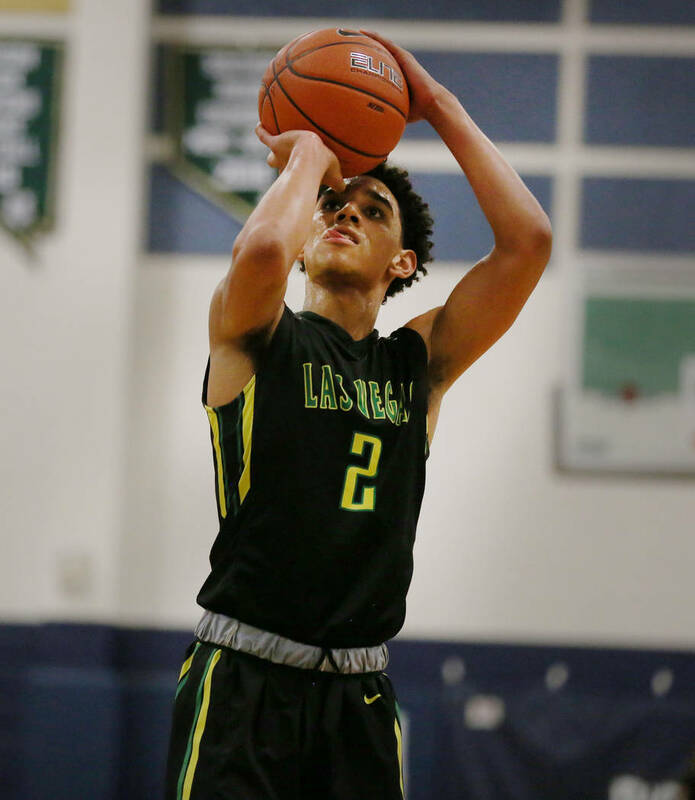 The 6-foot-3-inch floor general and rising Foothill senior attacked the paint for the Prospects and exploited his matchup for 17 points. 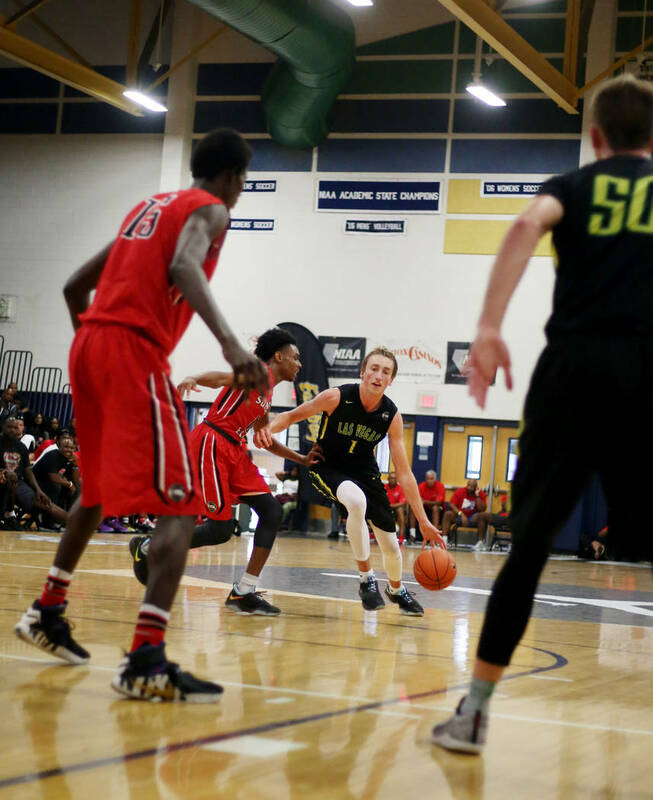 Reno native Moses Wood also scored 17, and his tip-in in the final minute of regulation sent the game to overtime. 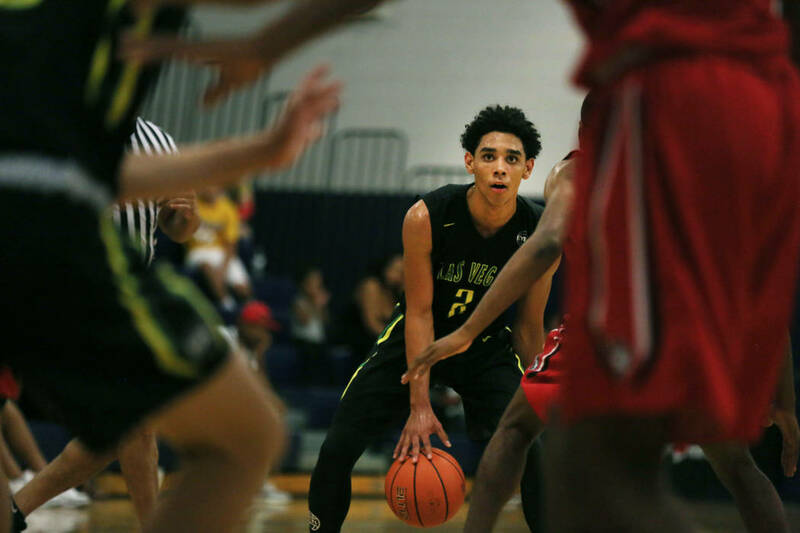 But Las Vegas had no answer for five-star sophomore guard Josh Chistopher, and he converted a hellacious, off-balance floater with three seconds left in the extra session to lift California Supreme Elite to the title. 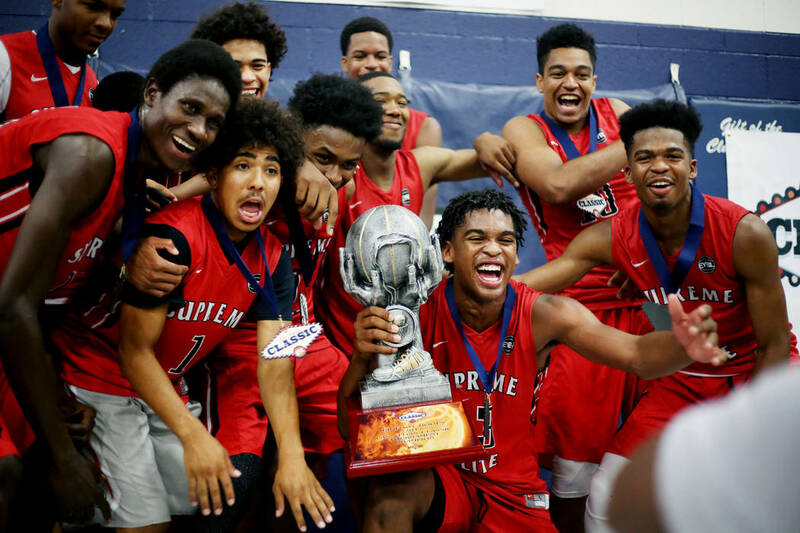 Thomas took solace from the way his team competed in its final tournament and said college coaches have reached out to the Prospects coaching staff to inquire about some of its players. 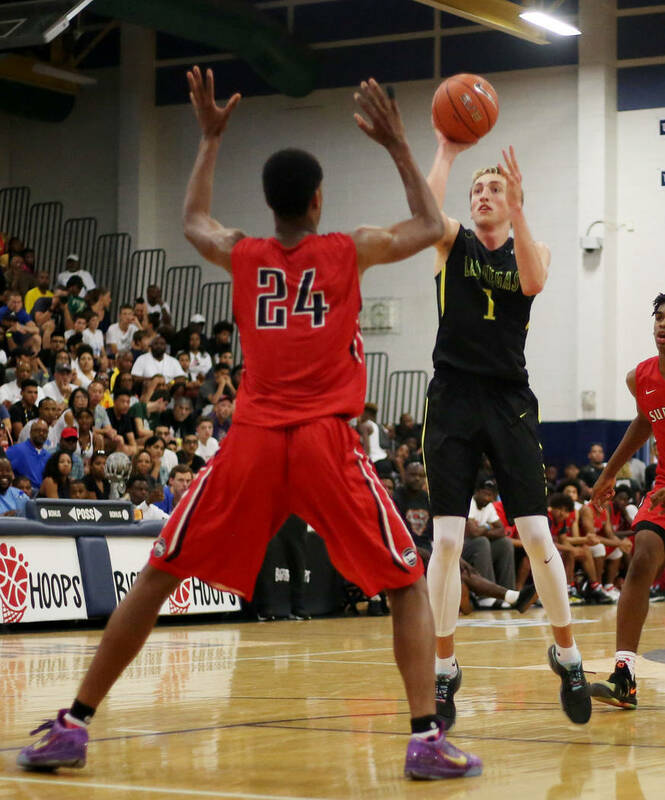 After all, it took an off-balance floater from one of the country’s top underclassmen to keep his team from a prestigious tournament title in its hometown. 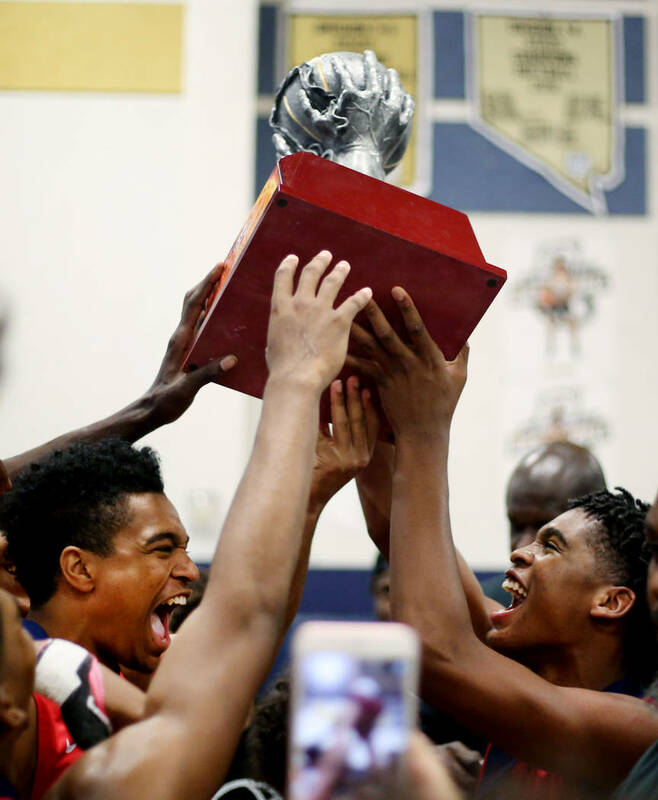 Contact Sam Gordon at sgordon@reviewjournal.com Follow @BySamGordon on Twitter.